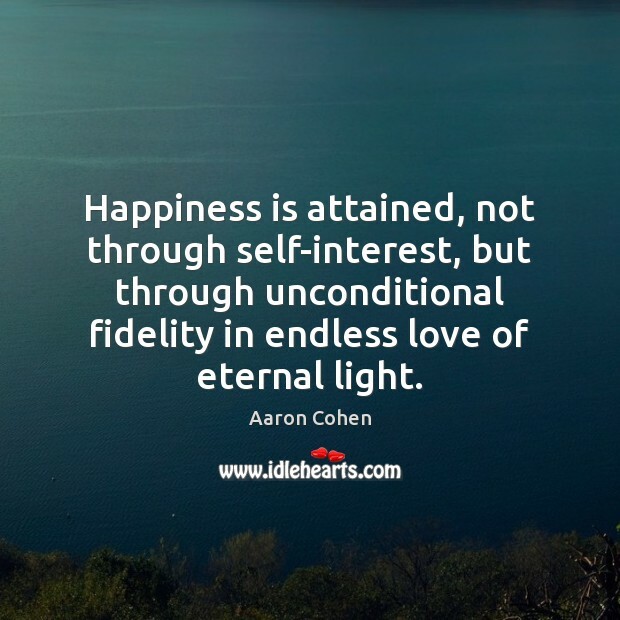 Enjoy the best inspirational, motivational, positive, funny and famous quotes by Aaron Cohen. Use words and picture quotations to push forward and inspire you keep going in life! 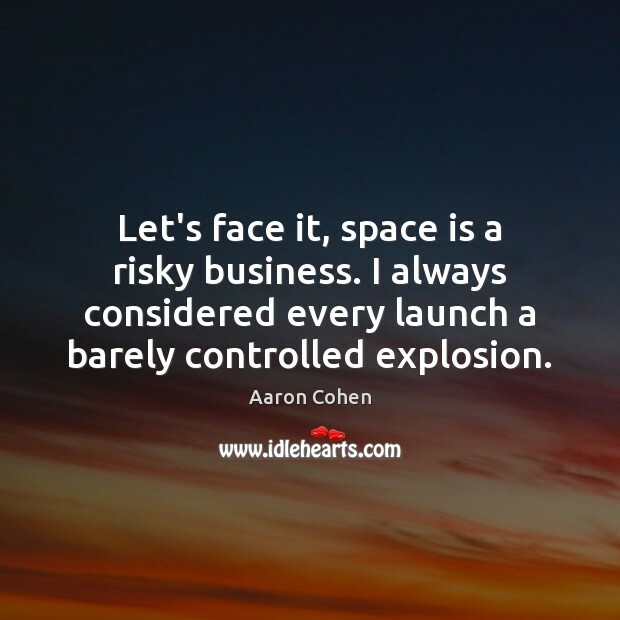 Let's face it, space is a risky business. I always considered every launch a barely controlled explosion. 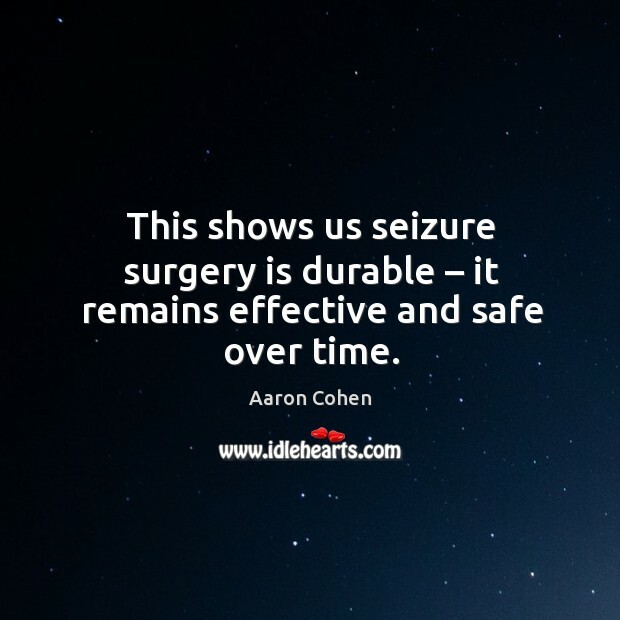 This shows us seizure surgery is durable – it remains effective and safe over time. Failure had to change him. When you ask what my role is: From an attorney position, it’s having the right systems in place. 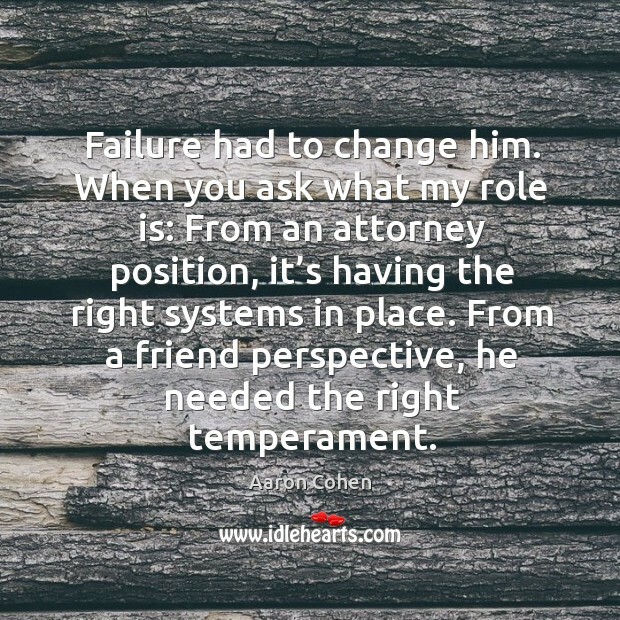 From a friend perspective, he needed the right temperament. 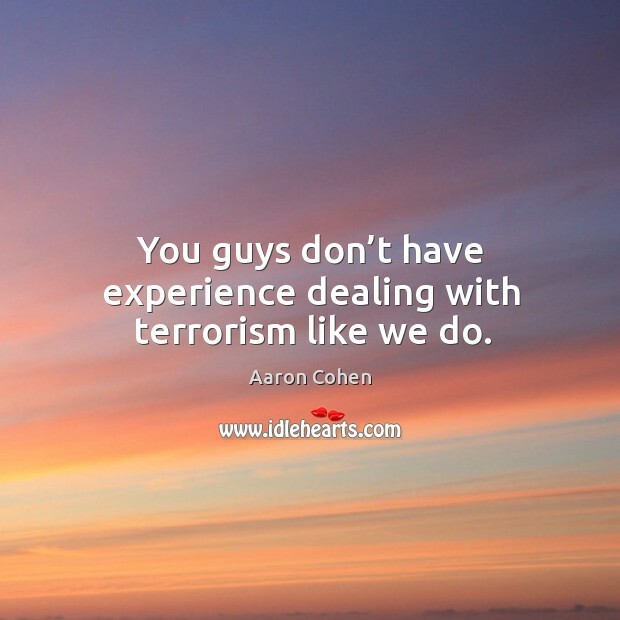 You guys don’t have experience dealing with terrorism like we do.